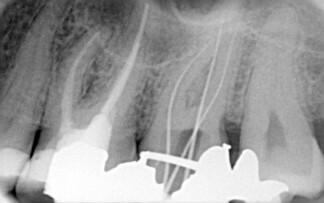 The filling of a root canal, following chemo-mechanical preparation, in a single canal and then each additional canal in a tooth with multiple canals. Once the root canal is cleaned sometimes it can be filled, sometimes called sealed, in the same visit. However, most of the time, we wait at least a week to ensure that there are no symptoms and any infection has been resolved. There is an expression, “you can’t hurry biology”! Time is also part of the treatment. We live in an instantaneous world, and we do try and quicken healing, but waiting a little bit can make a big difference to the outcome! To obturate the canal is effectively blocking the inside of the tooth from the body. This allows the body to heal any infection in the bone outside the roots. The previous dressing that was used from the last visit is washed out. Various materials and methods are used to seal the root canals. 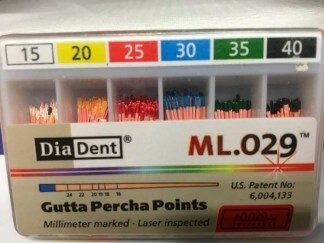 The usual material used is gutta percha. It is a pliable material that the same shape of a file and can be seen on an x-ray. We call them “GP points”. We use the point size of the last file size we used to clean the canal. 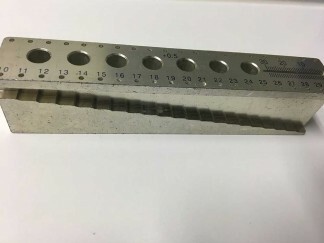 An endodontic block is used to measure lengths of file and GP points. The canal is washed with antiseptics and dried with paper points (sterile blotting paper in sizes that mimic file sizes – that’s for a future blog post!). The GP point of the last file used, called the master point, is placed into the canal after applying the slow setting cement in the canal and on the point. An x-ray is taken to check that it is sitting properly down the canal. Further smaller points are placed to seal the canal. 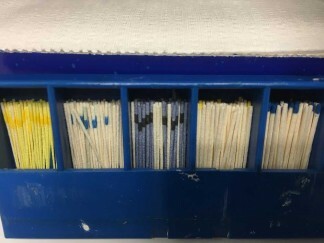 Some techniques are used where the filing is done via a machine and the GP point is the same shape and size of a pre-determined file and only one special GP is needed. Other systems inject the soften material down the canals. Yes, as I have said before it’s fiddly! But the whole process means the tooth is saved. A very important point – the root canal filling is only as good as the filling/tooth above it. 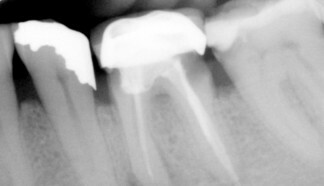 If the final filling is not completed and/or more decay gets into the tooth, eventually the root canal filling fails! Root canal filling do not prevent cracks in teeth so it’s important, to protect the tooth with an appropriate filling or even a crown. We will come back to more root canal stuff later.